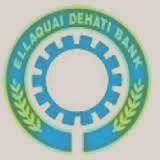 About Organization: Ellaquai Dehati Bank was created in 1979 through the Regional Rural Banks (RRBs) Act 1976 passed by the Indian Parliament. With the solemn objective to reach out to the poorest of the poor in the country, in 1976 Prime Minister Smt. Indira Gandhi played the champion’s role in creation of rural banks across the country. How to Apply: Apply Online by visiting the Recruitment Link on the Bank's website www.edb.org.in. No other mode of application or incomplete steps would be accepted and such applications would be rejected.